Together with the other members of the circle, the women support one another through loneliness and fear, and devise an ingenious business plan to keep Water’s Ford functioning. That plan may forever alter the patchwork of town life in ways that transcend even the ultimate sacrifices of war. Overall, I really liked this book. I have read several books by Jennifer Chiavernini, including Mrs. Lincoln’s Dressmaker. I like her writing style but have mixed feelings about her books. I think she sometimes takes liberty with history. There were times when I was reading this book, and her other books, that I wondered if this would have or could have really happened during the that time frame. But overall I really liked the story and writing of this book. It is part of the Elk Creek Quilts series, but because it is about the Civil War and people during the Civil War, it is a stand alone book. 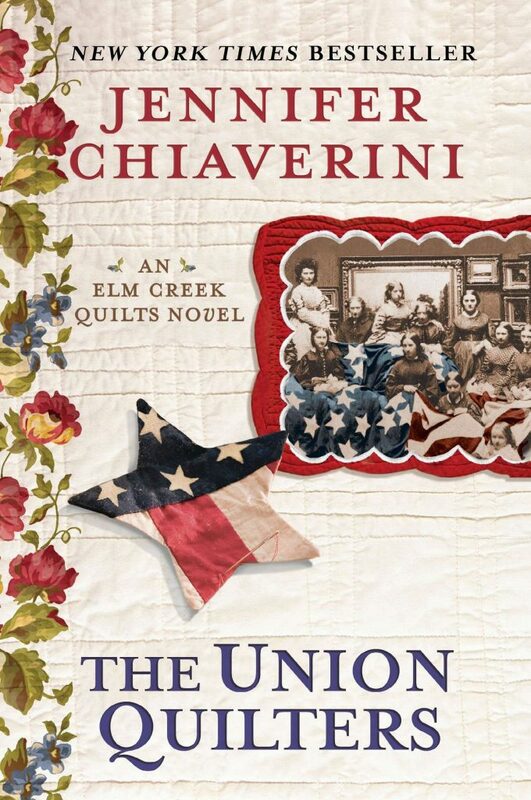 You don’t have to have read the Elk Creek Series to enjoy The Union Quilters.